Today’s veterinary sector is becoming increasingly driven by the need to provide high quality care to America’s beloved companion animals, as well as farm, zoo and research animals. For this reason, job markets for veterinary professionals of all types are enjoying sustained and robust growth. This has made becoming a vet assistant an excellent choice for those individuals seeking an affordable method of entering the veterinary care field. Ensuring that all animals under the veterinary practice’s care are properly fed and watered. In many cases, the vet assistant will be required to feed each animal according to a specific dietary plan. In addition, the vet assistant will also inform the veterinarian of any changes in the animal’s appetite. Cleaning and maintaining cages and other animal enclosures in order to prevent the spread of infectious diseases among clinic’s animals. Ensuring that all animals are housed in comfortable and healthy enclosures. Vet assistants will take biological samples, such as blood, urine or feces, for later testing by the veterinarian. 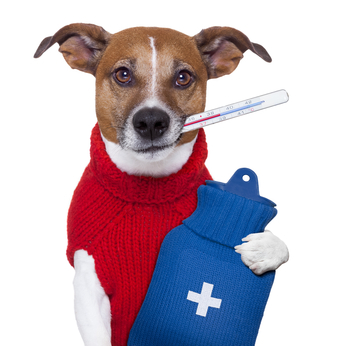 The vet assistant will administer medication that has been prescribed by the veterinarian. In some cases, the vet assistant may be expected to work in the front office or otherwise interact with the general public. In addition to working in veterinary clinics, many vet assistants work with zoos, wildlife management agencies or research labs. In most cases, their duties are rather similar, revolving around providing proper care for the animals in the facility. Depending on the nature of the facility, the vet assistant may have other duties, such as working with the public or assisting lab researchers to conduct animal based experimental procedures. Working as a laboratory animal caretaker. This field involves ensuring that lab animals are cared for humanely and in a manner consistent with the needs of the laboratory. Many animal control and humane shelters require skilled veterinary assistants in order to ensure that the animals are properly cared for. This duty may also include interacting with the public, especially if the shelter also allows for pet adoptions. Zoos and wildlife management programs also require veterinary assistants in order to help care for their animals. Depending on the nature of the program and the types of animals being cared for the vet assistant may be required to have additional training or experience. Currently, there are over 71,000 vet assistants working in the United States. In addition, the Bureau of Labor Statistics estimates that by 2020, the total number of vet assistants working in America will have grown by at least 14 percent compared to employment levels in 2010. When combined with the natural attrition the field will experience due to the retirement of older vet assistants, this indicates that new vet assistants will continue to enjoy excellent employment prospects for the foreseeable future. As of May 2012, Connecticut employed approximately 950 vet assistants. The state job growth rate for vet assistants is expected to match the national average. Furthermore, due to the state’s mixture of rural and urban regions, vet assistants will have a wide range of employment choices. The May 2012 national median annual wage for vet assistants is just over $24,700. Connecticut vet assistants currently enjoy a higher than normal wage, with an annual median salary of nearly $30,000. This wage is very competitive with other fields that have similar educational requirements. Vet assistants who have higher levels of experience or additional training can earn a somewhat higher wage when compared to newly employed vet assistants. Currently, Connecticut does not license vet assistants. For this reason, some employers hire workers and provide on the job training for them. However, a rising number of potential employers prefer to hire individuals who have been formally trained in order to ensure that the newly hired vet assistant can effectively carry out his or her duties. Community colleges, vocational training centers and some adult education programs offer formal vet assistant training programs. Most full-time students can complete one of these programs in about a year’s time. Upon graduation, the student is awarded a certificate of completion certifying that he or she is qualified to work as a vet assistant. In addition, there are many part-time, online and distance learning options for those students who cannot attend class on a regular schedule. In fact, online programs can allow a student to take full advantage of the vet assistant program without ever having to physically visit the campus. These programs can be especially useful for those students who are currently working or who have family obligations that make it impossible for them to attend classes on a full-time schedule. The American Association for Laboratory Animal Science (AALAS) offers several certification programs for laboratory vet assistants. This program allows already employed vet assistants to demonstrate a high level of professional skill in providing those services demanded in the research setting. Although this certification is not required, vet assistants who obtain an AALAS certification will enjoy superior employment and salary options. For those individuals interested in a career working with animals, becoming a Connecticut vet assistant can be an excellent choice. In addition to being a secure profession with competitive wages, becoming a vet assistant requires a smaller financial commitment than many other veterinary professions. This makes this profession very attractive to individuals who are entering the job market for the first time, in addition to those who are seeking to transition from another job. Finally, vet assistants provide a valuable service for their coworkers, supervisors and the surrounding community alike. Whether it is in a local veterinary clinic or as part of an animal control agency, a vet assistant provides a vital service to his or her neighbors.